Personalized Cotton Canvas Book Bags in Bulk. Cheap, Promotional. Best in USA, Canada. 12 oz. Personalized Cotton Canvas Book Bags in Bulk. Cheap, Promotional. Budget Prices for USA, Canada. Heavy Cotton: 12 oz. Bulk Canvas Book Bags, Customized with your logo or blank (not personalized). 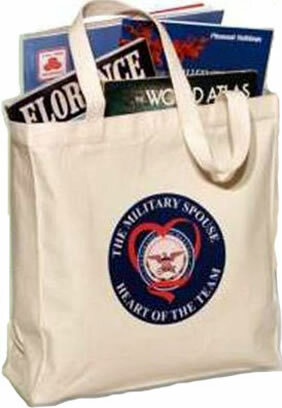 Our wholesale personalized canvas book bags are recyclable and made of natural biodegradable material. Budget Prices in the USA and Canada for wholesale customized canvas book bags. We also supply plain (blank) Book Bags in bulk: see thePrice Table below. Free artwork design. American clients pay no taxes. We will send you a proof for your approval before production. Unit prices below include your 1-color custom imprint on either natural (light beige) color book bags or on colored book tote bags. Add the amount shown for each additional imprint color, per imprint location, per book bag. We also supply plain (blank) Book Bags in bulk: Natural: $2.88 each (minimum quantity: 240); Colored: $3.98 each (minimum quantity: 240). Full color Imprint: $1.25 Run Charge, Minimum order of 250 pieces. Setup Charge: $40.00 per color; Repeat Setup Charge: $25.00 per color. Production Time: 5 working Days; Rush production of 3 days is available at extra charge: contact us. Blank canvas book tote bags ship next day. This is our most popular and versatile bag. This bag is great for so many things. It’S the perfect size for carrying books, magazines, portfolios, just avbout anything, with a 5” full gusset. It also has a 26” shoulder length handles. High quality material and workmanship. Color: Natural Beige, Black, Navy Blue, Burgundy Red. Rush Production Time: 3 Working Days. Contact us.